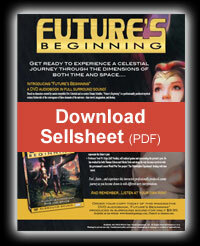 Send an email with "Subscribe" as the subject to: webmaster@futuresbeginning.com. 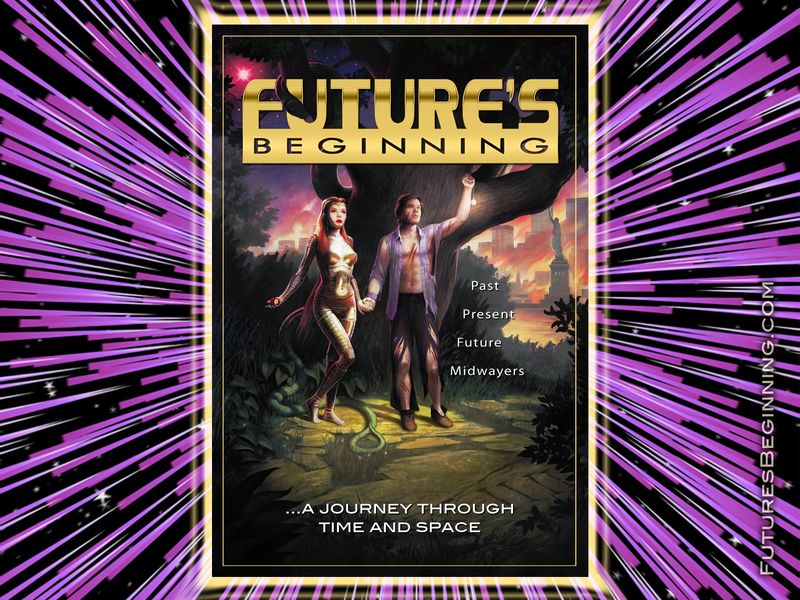 Introducing "Future's Beginning" a DVD audio book in full surround sound! Based on characters created by master storyteller Eve Celestial (an advancing secondary Midwayer) and co-creator Dennis Human, "Future's Beginning"is a professionally produced mystical science fiction tale of the convergence of three elements of the universe – time travel, imagination, and destiny. "Future's Beginning" offers each listener a unique, mystical experience each and every time they enjoy this Collector's Edition audio DVD! What makes this DVD audiobook truly unique is that the storyline and time-line intersect and arc in such a way as to allow for a different storytelling and listening experience each and every time. Experience "Future's Beginning" in full DVD Surround Sound! Musical selections by Wolfgang Amadeus Mozart performed by the Apollo Orchestra and vocals produced by Jeff Myhre. Eve (Jennifer Grimm) who is both the beginning and the end as she transcends the dimensions of time and space and represents the future beyond that which we have come to label as reality. General Captain Mann (Casey Moo) is the mysterious Savingor and Keeper of Knowledge and represents the future’s past. Professor Noel W. Edge (Jeff Nordin), self realized genius and representing the present’s past. He has worked for both Thomas Edison and Nikola Tesla and along the way becomes involved with the government’s secret World War Two project ‘The Philadelphia Experiment’ dealing with time travel. Feel…listen… and experience this interactive professionally produced cosmic journey as you become drawn in with different story interpretations. This recording is meant to help Indigo Children awaken and realize their true potential.